Hearts. 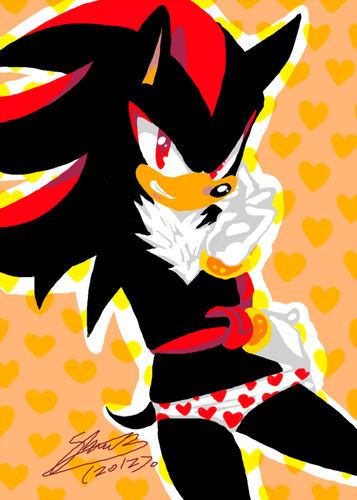 .. Wallpaper and background images in the Shadow The Hedgehog club tagged: shadow the hedgehog. "Sh-Shadz?! WHAT THE HELL ARE YOU WEARING?! Put down the Speed-o's!" I'm scarred for life now. ummulz (realname) : GIVE BACK MY UGH JUST GIVE IT BACK!! !